Omega 3 - Your Soldier! 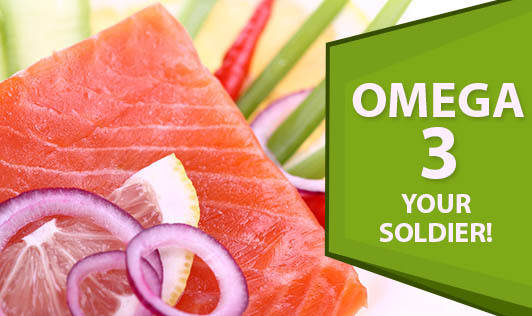 Omega 3 fatty acids are a class of essential polyunsaturated fatty acids. They are necessary for good health, but are not synthesized in our body. So, have to be provided through diet. The dietary sources of omega 3 fatty acids for the non vegetarians are fishes like mackerel, sardines, tuna, and salmon; and the vegetarians can go for flax seeds, soybean oil, canola oil, pumpkin seeds, pumpkin seed oil, and walnuts. If your diet contains all these foods, you have your soldier with you always!